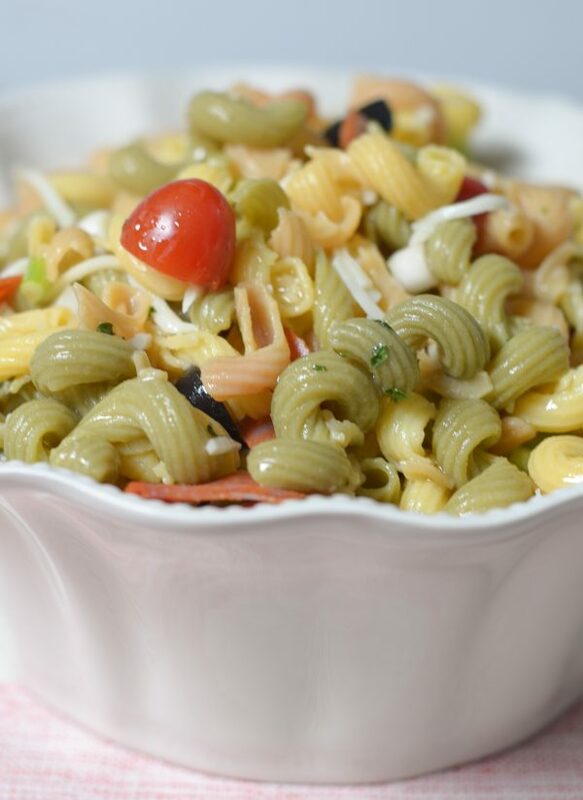 Make a delicious dinner or side dish with this Easy Cold Pasta Salad! I actually shared this recipe just shortly after I started this blog, at the time I called it “Sarah’s Famous Pasta Salad.” This post was complete with a single picture and a sentence paired with the recipe. I decided though it’s time to change the name and update the post, plus those pictures! 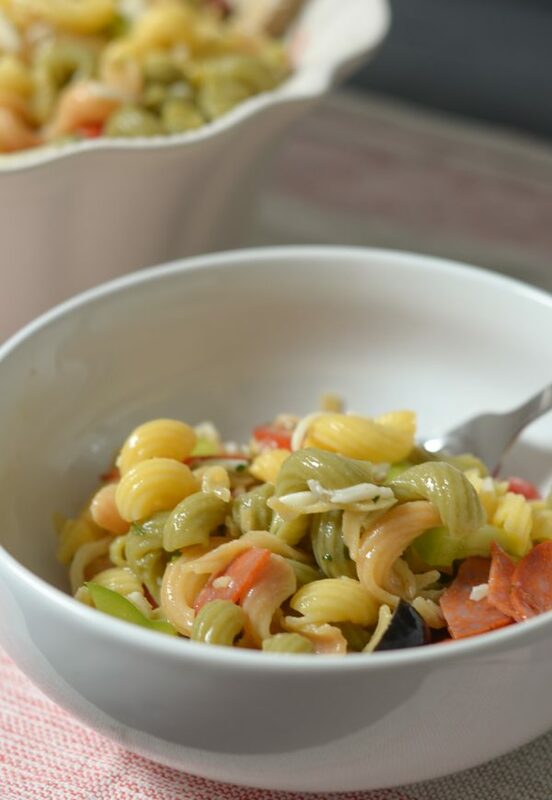 They are so much better now for this Easy Cold Pasta Salad. It can also easily be made gluten-free too. Of course, back when I originally wrote this, I was in the midst of dealing with so many stomach and gut issues. At the time, I didn’t know that gluten was culprit. 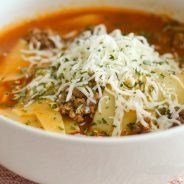 Now things have changed including what pasta I eat; however, this is super easy to make with or without gluten, simply by switching out the pasta. 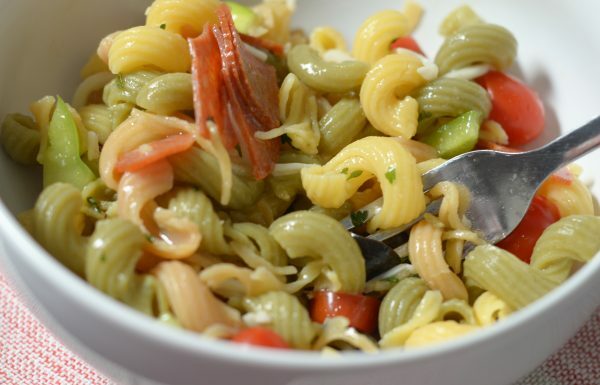 What pasta to should you use to make a Gluten Free Cold Pasta Salad? I prefer to keep it a tri-color, I think that’s what makes pasta salad fun and appealing. Honestly, that’s part of why I never really made this again after I went gluten free. For several years after going gluten free, the options for gluten free products was very slim. Now, it’s easy to find just about everything in a gluten free option. Crazy how times have changed, isn’t it? I decided to use Ancient Harvest Veggie Curls, but you can also use Tinkyada too. Remember though, if you do decided to use Ancient Harvest, you will need TWO boxes. It’s best to use 16oz of pasta for this, plus it will last you for days too! Now as I whipped this up, we were able to eat on it for a while. 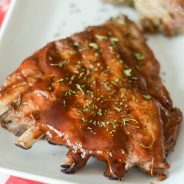 I like to use it as a side dish for cookouts and also as a full meal too. I forgot just how much I loved it until I remade it again. I have so missed that wonderful cold pasta salad. 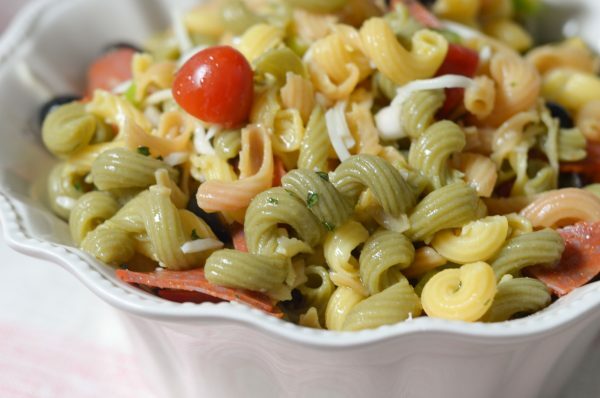 This Easy Cold Pasta Salad will not disappoint! What do you need for Easy Cold Pasta Salad? 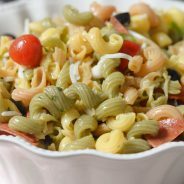 What to pair Easy Cold Pasta Salad with? First, grab the e-book to have it right at your fingertips! Check out, these 15 Easy Gluten-Free Recipes in this e-book. 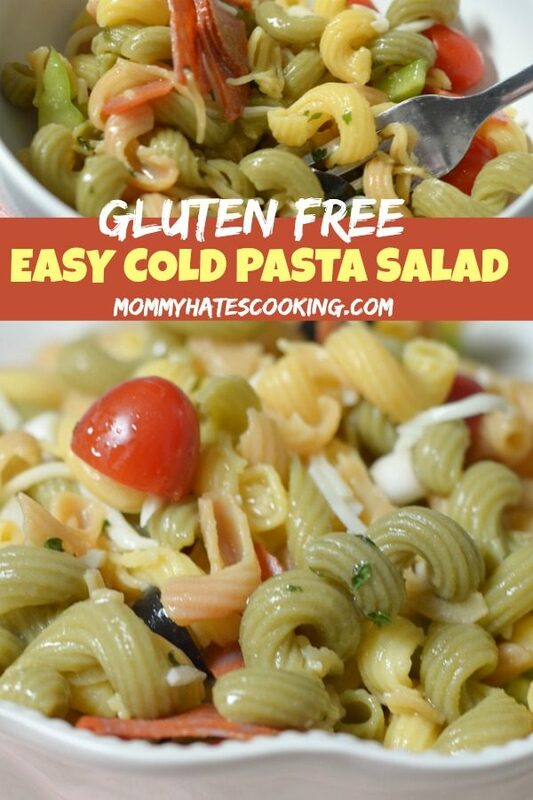 Make Gluten Free Cold Pasta salad as a side dish or as dinner! Prepare the pasta as instructed on the package. Drain and rinse with cold water, return to the pan. Add in the remaining pasta salad ingredients. Pour the dressing on the pasta salad and mix well.